Travel with your Pet to San Francisco! We want to help you bring your cat or dog on vacation to San Francisco! San Francisco could be really fun place to bring a pet! There are tons of parks in the city- tons! (see the map of dog parks), and to contact pet boarding or sitting to make sure your pet is taken care of while you are out exploring San Francisco. We offer a great selection of by owner vacation rentals! New! wheelchair accessible, petfriendly, by owner rentals in San Francisco. Want to search for a by owner vacation rental yourself? Try Vrbo/Homeaway- filtered for San Francisco and pet friendly - just select your dates and how many people you need to sleep! To help you out we have created a great map that shows proximity to the pet friendly hotels listed on this site. Or Search One and Done! 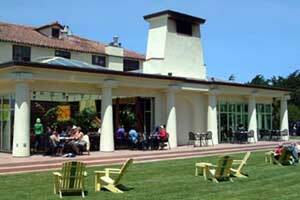 -Hotels filtered for petfriendly and wireless already. Some hotels even have pet sitting services, but there are many boarding facilities or pet sitters. Check out the pet sitters - some of them will take your dog to the beach if you have a non-dog outing planned!. Pet Friendly Hotels in San Francisco, CA!! See our selection! Palace Hotel San Francisco - BOOK IT! $$$ Welcome to the opulence of this landmark luxury hotel in downtown San Francisco, established in 1909. Wonder at the stained glass dome of the garden court or the 53,000 sq ft of meeting space available at this facility. Poised for convenience to the best of San Francisco, find yourself located near the Union Station, Chinatown, the Financial District, & the Convention Center. The perfect blend of timeless elegance & contemporary amenities await at the Palace Hotel. Pets allowed for $75/day cleaning fee. Weight limit 15 lbs. Pet Welcome Kit provided with dog bowl, bed, & mat. and more pet friendly hotels in San Fran! Type "San Francisco" and your dates! Best Western recognizes the ever growing needs for pet friendly accommodations. "We strive to offer our guests and their furry friends a comfortable stay and have done our best to ensure consistency at all of our pet friendly properties. There may be a maximum $20 per day charge for each room with a pet or multiple pets or a maximum per week charge of $100. A refundable damage deposit of up to $50 per stay may be required of all guests with a pet." 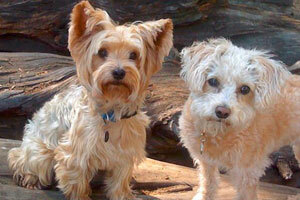 Pet Friendly By Owner Rentals in San Francisco, CA! See our selection! Want to search for a by owner vacation rental yourself? Try Vrbo/Homeaway- filtered for San Francisco and pet friendly - just select your dates and how many people you need to sleep! 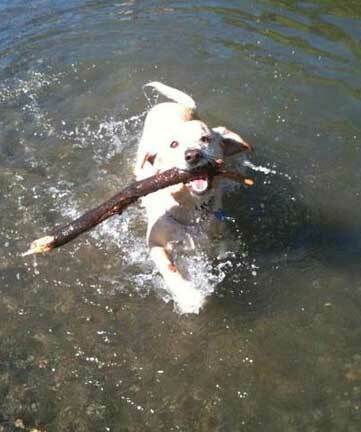 Pet Friendly By Owner Vacation Rentals in San Francisco, California! Pacific Heights Garden Apartment - 1BR/1BA, sleeps 2; min stay 4 nights, Avg $185/nt - BOOK IT! and more pet friendly by owner rentals in San Fran! Pet Friendly Dog Parks in San Francisco, CA! See our selection! Off leash dogs welcome. 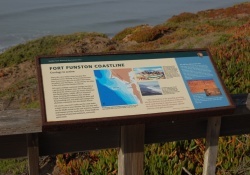 Once a harbor defense installation, this area is now a part of the Golden Gate National Recreational Area (GGNRA). Enjoy magnetic sand beaches with hang gliders making use of the nearby bluffs. Water available for you & your pet as well as plenty of trails to use in the area. and more about dog parks in San Fran! Pet Friendly Restaurants in San Francisco, CA! See our selection! Dog Friendly Restaurants in San Francisco, California! $$ American, Bar; Dogs welcome in outdoor dining area. Come be 'served with a view' with the parkside dining of Park Chalet Garden Restaurant where the open air dining room, retractable glass doors, & glass ceiling create a lush, nature-fulled, & serene experience. Menu items focus on American classics with an incorporation of local specialties. and more dog parket friendly restaurants in San Fran! Pet Day Care in San Francisco, CA!! See our selection! Pet Day Care in San Francisco, California! 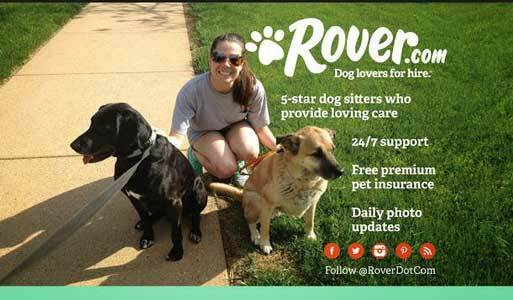 Bonded, insured, & certified dog walking & sitting services. Dog walking includes transportation, 40minutes to an hour of walking, running, wrestling, fetching, & other dog play activities. Dog sitting services are provided inthe home of sitter with full access to house, dog walking services included as well as special love & attention of the sitter. Vets in San Francisco, CA See our selection! 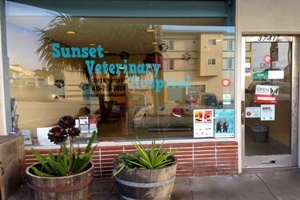 Veterinarians in San Francisco, California! and more vets in San Fran! Having Fun in San Francisco! See our selection! Having Fun in San Francisco! The Ticket Network! Don't miss out on ANYTHING! Find sports, concert, theater, and comedy tickets to events in San Francisco, CA, right here at TicketNetwork! There’s something for everyone, including traveling Broadway shows, comedy events, local sports games, and national tours featuring many of the world's biggest musicians, pop stars, and bands. Whether you live nearby or are traveling to San Francisco, CA, never miss out on the city's upcoming events. and more fun things to do in San Fran! Help Your Dog Deal with City, Beach, and Woods! Dehydration can make your dogs drink salt water. "If you want a water bottle, so does he," LaCoste said. 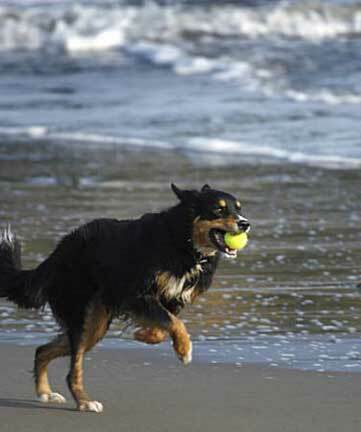 Most dogs love running, playing fetch, and interacting with other dogs, and a trip to the beach can be a perfect opportunity for your dog to do those things. Your dog needs to replace that lost water; exercise will leave him with an urge to drink. If you don't provide fresh water often at the beach, your dog will drink salt water. and more tips about traveling with pets to San Francisco! Spend some time on our videos page, which shows videos of pet travelers having a great time in San Francisco, California. Our travel store can help outfit with the latest great products for your travels. Please take a look at our blog, and other cities we have done research on on our main map! Have a question? Post it! We will answer, and invite others to do so as well. This is a community! And thankyou for coming to our site! This is the www.petfriendlysanfrancisco.com page of the www.petfriendlynorthamerica.com global website.